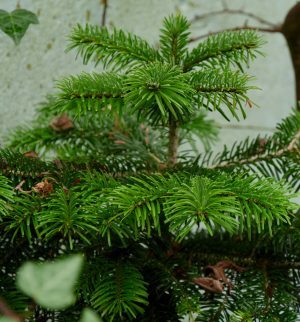 Each year, some eight million ‘natural’ Christmas Trees [which may be Norway Spruce or Silver Fir or Nordmann Fir or Scots Pine] are bought in the U.K; it is estimated that several million of these end up in landfill. When a tree ends up in landfill, it costs the local authority as they have to pay for every tonne of waste sent to landfill. 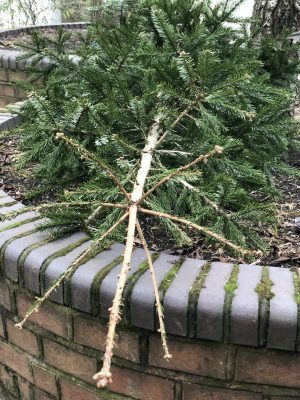 Whilst consigning them to landfill is better than them being discarded in local streets or left on pavements etc, the needles and wood of the trees take time to decompose [think of the soft cushion underfoot when walking through a pine woodland]. Also, the process of decomposition releases significant quantities of carbon dioxide into the atmosphere. Sometimes the councils have schemes so that the trees are shredded / chipped to create material that can be used as mulch / weed suppressant / soil conditioner. However, work being undertaken at the University of Sheffield suggests that there may (eventually) be alternative ways to recycle these trees. Cynthia Kartey is working on a process by which the biomass of pine needles could be converted into feedstock for the chemical industry, which in turn could be used to make food sweeteners, mouthwash, adhesives, paints, vinegar and other products which are currently created using fossil resources (oil etc). The process involves adding solvents (such as glycerol) and heat to break down the structure of the pine needles and the complex polymers (such ligno-cellulose which makes up 90+% of the mass of the needles) etc - creating a ‘bio-oil’ , with simpler organic compounds (e.g. glucose and phenol), and a solid (bio-char). Christmas trees are but one source of biomass that could be used to generate chemical feedstock; other sources include other forestry-derived materials (thinnings, stumps etc), food waste, used grain from the brewing industry etc. Such materials might otherwise go to waste, recycling them will yield benefits that could result in a greener global economy. I have only used an artificial tree for many years, but when I used a real one, I chopped it up & used the main bits in a fire pit & used some of the leafy bits on the BBQ / smoker. Smells lovely! Many thanks for publishing the link for recycling Christmas trees. Don’t think anyone should consider buying a “real” tree unless they are prepared to dispose of it in a responsible way. 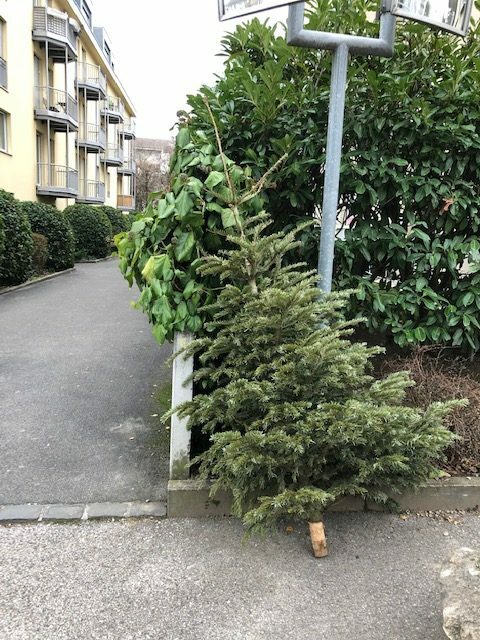 A tree is for re-using, not just for Christmas. ‘Waste’ Materials to landfill, coffee grounds.